Welcome to the South Seas Island Resort! 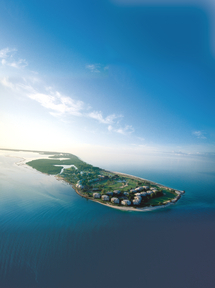 On behalf of the entire staff of South Seas Island Resort, I want to welcome those of you that will be joining us for the 29th Annual Florida Literacy Conference being held at South Seas on beautiful Captiva Island, Florida, May 7, 2013 to May 10, 2013. What can you expect from your trip to South Seas? Relaxation and rejuvenation. South Seas is a sprawling tropical oasis, 330 acres and 2.5 miles long, framed by the tranquil blue waters of the Gulf of Mexico and the Pine Island Sound. It’s best to think of South Seas as its own little village, consisting of two major areas: South Village and North Pointe. South Village is where you’ll find your meeting rooms for the event, main reception center for check-in, your accommodations (Beach, Tennis and Bayside Villas), Chadwick’s Square for shopping and spa services (Starbucks in the morning, anyone? ), tennis, and one of our staffed beach areas, South Beach. Each of the villa areas has its own pool and SouthBeach has chairs, towels and umbrellas available during the day. All of these areas are within easy walking distance to each other. About 1 mile away is North Pointe, where you’ll find the Resort Pool Complex (featuring H2Whoa! waterslides), the Yacht Harbour, golf course, Harbourside Bar & Grill (serving Fish Market Cuisine nightly), Scoops & Slices (serving pizza, ice cream and a wall of candy), and my favorite spot, Sunset Beach. Sunset Beach is our main beach area where we have Sunset Beach Bar, Sunny Island Watersports, a volleyball net, chairs, towels and umbrellas. We have live music from 5pm – 8pm nightly and just as the sun sets each night, we have a special ceremony on the beach. Moving between SouthVillage and North Pointe is easy. We have a trolley service that runs continuously for all guests from 7am – 11pm, and bikes and golf carts are available for rent. There will be a dedicated trolley for the FL Literacy Coalition during peak event times as well. One of the best deals on the property is at check in when you’ll be asked if you’d like to rent a bike during your stay. It’s only $5 per bike, per day, and you rent it for the duration of your stay, versus $15 per bike, per day if you elect to rent a la carte. It’s a great way to travel throughout Captiva and South Seas at your own pace. 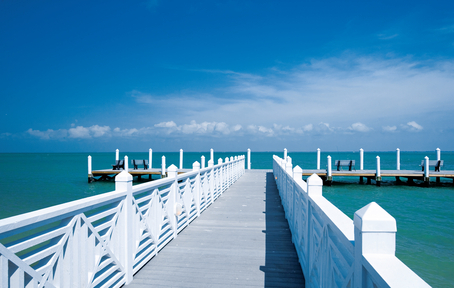 If you would like to learn more about South Seas, I encourage you to visit www.southseas.com, www.facebook.com/southseasresortvillage, or follow us on twitter and instagram @SSIslandResort. We look forward to seeing you in May. This entry was posted in Uncategorized and tagged captiva, Florida Literacy Conference, South Seas Island Resort by Florida Literacy Coalition. Bookmark the permalink.